I recently had the pleasure of reading through Forging Political Compromise, a monograph written by Dr. Daniel Miller, formerly of the University of Pittsburgh, on the subject of interwar Czechoslovak democracy and how its fragile success ultimately depended on the long rule of peasant statesman Antonín Švehla. It’s a book which oughtn’t sit comfortably with a great many commentators on European history, though it provides a number of broad insights from what is essentially a scholarly sketch of a person (Švehla) and his political movement (the Czechoslovak Agrarians – later the Republican Party of Farmers and Peasants). It is a scholarly sketch, but it is an incredibly evocative one. The Antonín Švehla that Dr. Miller portrays is a man of numerous contradictions, yet a dynamic and capable man who is able to hold sway over an entire country’s destiny due in no small part to those very same contradictions. Early in his political career he was an active participant in the rural beet growers’ union movement, and agitated on behalf of rural workers and peasants involved in that trade, who at the time were being cheated out of a fair price on their produce by beet sugar processing companies. He readily and with great energy went out to give stump speeches to protesting workers. He travelled easily between town and country, for he himself had taken on his patrimony of a significant estate in the suburban reaches. But once ensconced in government, first of the Habsburg Monarchy and then of the new Czechoslovak Republic, he was quite content to stay well out of the public eye, and to deal behind the scenes. He was, as Miller describes him, ‘an artist in the politics of inclusion through rimpasto, combinazione and transformismo’, and through ‘skilful manipulation of personal friendships, careful construction of deals and clever staffing of ministries’. The ‘Pětka’, or the ‘(Committee of) Five’, an unelected, extra-parliamentary body made up of five party leaders which ran much of the political process out of the public eye, was Švehla’s brainchild, and Švehla, occupying a position both between and apart from the socialists and the capitalists, was more often than not the key member. The irony was that the Pětka was made up, and functioned explicitly, to preserve the norms of trust needed for Czechoslovak democracy to function, but itself was an inherently anti-democratic body. Švehla had a firm belief in democratic principles and popular self-determination, as he made clear in several of his speeches. He had an activist, populist ‘faith in the masses and their ability to select capable leaders’ which had grown out of his work in the rural producers’ unions. But that belief did not extend fully to democratic processes. With good reason, he thought of parliaments and elections as messy, chaotic, and potentially violent beasts that needed a firm, outside taming hand if they were to serve the public good. Miller notes the ‘carrot-and-stick approach’ Švehla took to the parliament between 1925 and 1927, when he was facing massive roadblocks over budget proposals. Even within his own Republican Party, he faced backbench revolts from the conservative wing, made up of large-scale landowners and agricultural businessmen, which he was usually able to thwart through a mixture of political manoeuvre, pressure from the grassroots, deal-sweetening and – occasionally, as in the case of Karel Prášek – more iron-fisted forms of party discipline. From the left, the democratic socialists accused Švehla and his agrarian allies of ‘speak[ing] beautifully about Western democracy’ but being ‘closer in their hearts and souls to the politics of the Balkans’. In truth, he was never as pro-Russia as his conservative colleague Karel Kramář was, and he detested Bolshevism. However, it was still a distinction of Švehla’s foreign policy that he and his party markedly preferred working with other populist, peasant-governed Slavic and Eastern European states: especially Bulgaria, Poland and Yugoslavia. This was in marked contradistinction to the westernisers Masaryk and Beneš, who preferred working with industrial powers like France, Britain, and Germany. Though he had, as Miller notes, a strong and well-earned reputation as a pragmatic deal-breaker and a compromiser, who preferred to get his way by talking around an issue tirelessly one-on-one or in small groups, there was a certain steel both in his management of his own party and in his management of the country as Prime Minister. Given the hindsight of interwar Czechoslovakia’s success and stability, it’s clear that Švehla handled things in an understandable and moderate way, but if he lived today, no doubt among the Atlanticist powers he would carry the authoritarian reputation, perhaps not of a Lukašenka, but certainly of a Yanukovych, a Fico, or an Orbán. But Švehla was no opportunist or corrupt politico. His writings and speeches carry evidence of strongly-held ideals and values, to the point where I’m tempted to judge Miller’s often-deployed epithet of ‘moderate’ as somewhat misleading, however well-intentioned. As an ideologist, he contributed to agrarian thought the ‘law of the land’; that ultimately the ones who control the food supply control the destiny of the nation, and that the ‘nation is created from its land’. In common with other agrarian leaders, Švehla was markedly hostile to the individualist tendencies of Western political liberalism, and admirably took up the defence of the family, the credit union and the agrarian cooperative. He constantly stood up for small farmers against exploitative industries, urban businesses and banks. The Republican Party, in cooperation with the socialist parties, managed to push through a land reform bill which returned massive amounts of formerly-consolidated land into the hands of the families who worked it. Though their leadership was heavily Czech from the start, the political programme which Švehla’s Republicans forged in 1922 eschewed ‘rough nationalism’ in favour of Czechoslovak unity, and embraced the Slovaks and, especially, the much-beleaguered Carpathian Rusyns – who were in fact more heavily agrarian, poorer, more vulnerable to capitalist predation, and more dependent on smallholder agriculture than the Czechs were. Such passages show an unshakeable trust in the workings of nature and of the farmer’s ties to it, even to the familiar Catholic social ideals of subsidiarity, independent property, and distributive justice – even though, as a nominal Catholic, Švehla was never particularly devout. Though he led a ‘big-tent’ party bankrolled to a significant extent by large landowners and agrarian industrialists, Švehla’s instincts were in a distinctly leftward direction, and he was always more comfortable working with socialists than with Kramář’s National Democrats, to the point where at one time he became known as the ‘red agrarian’ – and he eagerly entered his party into coalition with the socialists on a cooperative basis: ‘you have the coal; we have the bread’. Still, his interests were first in the well-being of the rural poor. 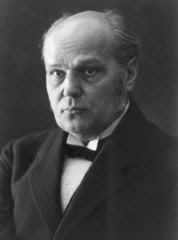 It is notable that he broke with the socialist parties and entered into the non-socialist centre-right ‘Gentlemen’s Coalition’ over the issue of tariffs: the socialists, in common with the urban élites and business owners, wanted low tariffs on imported grain, to ensure lower food prices for Czechoslovakia’s urban workers. Even the left wing of the Republican Party found this insupportable, though: the people who would be hurt by the socialist embrace of free trade in grain were precisely the rural smallholders and landless agricultural labourers, whose crop would no longer bring a fair price. The budget problem was eventually solved in the Pětka, but it would leave a lasting bitterness between the rural left (represented by the agrarians) and the urban left (represented by the socialists). Unfortunately, politics took its toll on Švehla’s health. He was often bedridden through the late 1920’s, and Masaryk, out of concern for his friend and colleague, would take care not to visit him so that he wouldn’t feel the need to talk and get agitated about current affairs. Unlike his fellow agrarian statesmen Stamboliyski and Madgearu, he wasn’t murdered by far-rightists; instead he succumbed to complications from influenza in the fall of 1933. But the movement he led was similarly tragic in its downfall, for the reason that it had no great organisers or compromisers like Švehla to take his place, to mediate intra-party disputes, or to hammer out deals with other parties. 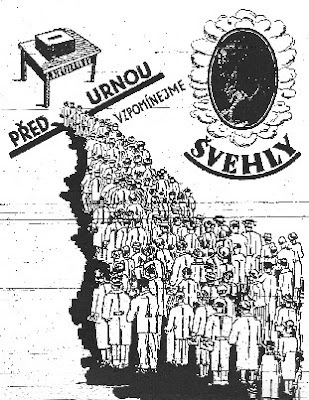 The social democrats never forgot the tariff dispute or their exclusion from Švehla’s last government, and when the communists took power after World War II, the democratic socialists were among the first to agitate for outlawing agrarian party politics. Which is a shame. Miller argues that Švehla was primarily responsible for guiding the infant Czechoslovak state through a particularly trying period of modern history when all the states around it succumbed to various totalitarian ideologies, and that is true. But more importantly, he represents a political option which, having been rediscovered in some places of Eastern and Central Europe, now very much needs to be rearticulated and attuned to the problems of advanced globalism. Švehla represents a tendency which combines respect for private property and real democratic values with a cooperativist imperative to protect the poor and most vulnerable from the cultural and economic ravages of laissez-faire and atomisation.